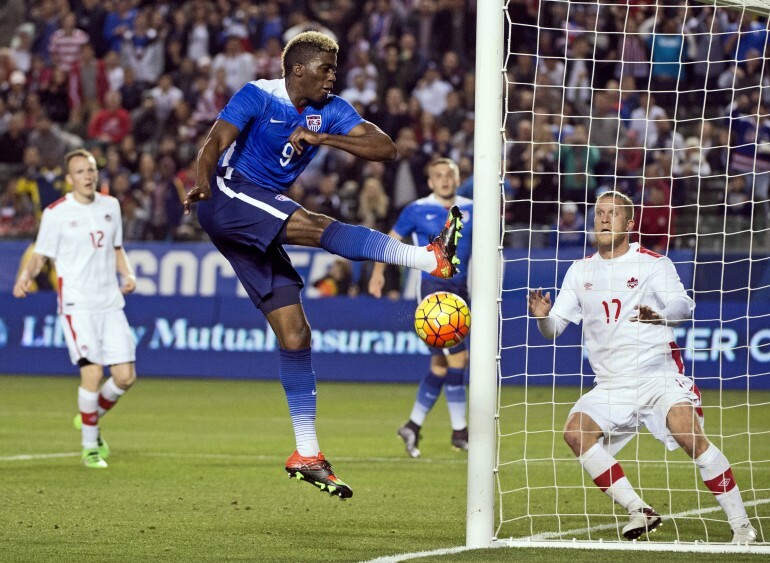 CARSON, Calif. -- The U.S. Men’s Soccer Team defeated Canada 1-0 thanks to a late-game goal headed in by veteran striker Jozy Altidore. Winning an international friendly didn’t mean much for the Americans in terms of standings or qualifications. To the contrary, a rough performance spelled out a laundry list of improvements they need to make ahead of games next month that will mean a lot. The Stars and Stripes haven’t quite clicked ahead of upcoming qualifiers against Guatemala and Colombia (U-23). In particular, USA flubbed many passes during the first half and committed unforced errors that sent the ball out of bounds. Veteran players, especially in the midfield don’t appear to have meshed with the younger players making their third, second, or even first international appearance. Worse yet for the U.S. Men’s team, Canada did not play particularly well. The Canucks didn’t create many serious scoring chances, and ceded ball control for the majority of the game. The score did not reflect USA’s shots, 17 (8 on goal) to Canada’s four (zero on goal). If Canada found a silver lining in its performance it was the goaltending of first-time starter Maxime Crépeau who had 7 saves. Canada will face its first CONCAF qualifying game against Mexico in late March. Floro said that the team must work on “defense” and “ball movement,” insisting that the changes aren’t needed to compete “because of Mexico,” but just in general. USA teams also have one month to tighten up their game. U-23 players face a qualifying match against with Columbia; the all-ages plays Guatemala the same month. The assist in Altidore’s goal in the came from Erin Finlay, for a game-winning point that followed more 88 minutes of scoreless soccer. Jurgen Klinsmann expressed confidence in Altidore’s abilities as striker despite missing many chances on Friday. He joked that Altidore was taking his time to put one in the net. The U.S. camp is coming to a close, and players are optimistic heading into competitive games. Midfielder Lee Nguyen said that the team was beginning to gel, and praised the results of th camp. “This camp was basically to get a lot of guys ready for World Cup qualifying and Olympics [games],” he said, adding that among the U-23 players Kellyn Acosta and Matt Besler has done particularly well. Guatemala, Colombia -- are players like Nguyen brushing up on their Spanish? “Ya I know a little bit, so we’ll see,” he said. Michael Orozco, probably the only Spanish-speaker to participate in the camp, was not present at Friday's game due to comittments with his Liga MX team, the Tijuana Xolos.